Sustainable Festivals have supported Lancaster Music Festival as Event Managers and Safety consultants for their concerts at the Castle since 2014. 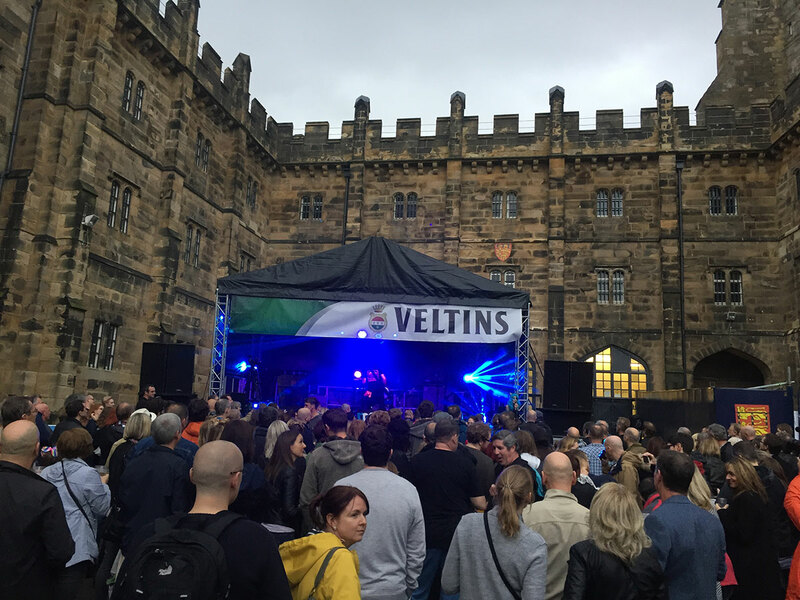 In 2014 Lancaster Castle historically hosted live music for the first time in it’s 1000 year history. LMF continues to grow into a truly unique, multi-venue live music showcase that uses 40+ venues across the city of Lancaster, with several hundred acts performing over the 5 day weekend. Ensuring that all Event Management planning, health and safety requirements, supplier management and licensing conditions can all be safely organised, Sustainable Festivals ensure a successfully managed and delivered event that can continue to grow year on year.